Below is an interactive sample of what a sermon page generated by the Sermon Video Library (with SEO Transcription) looks like. 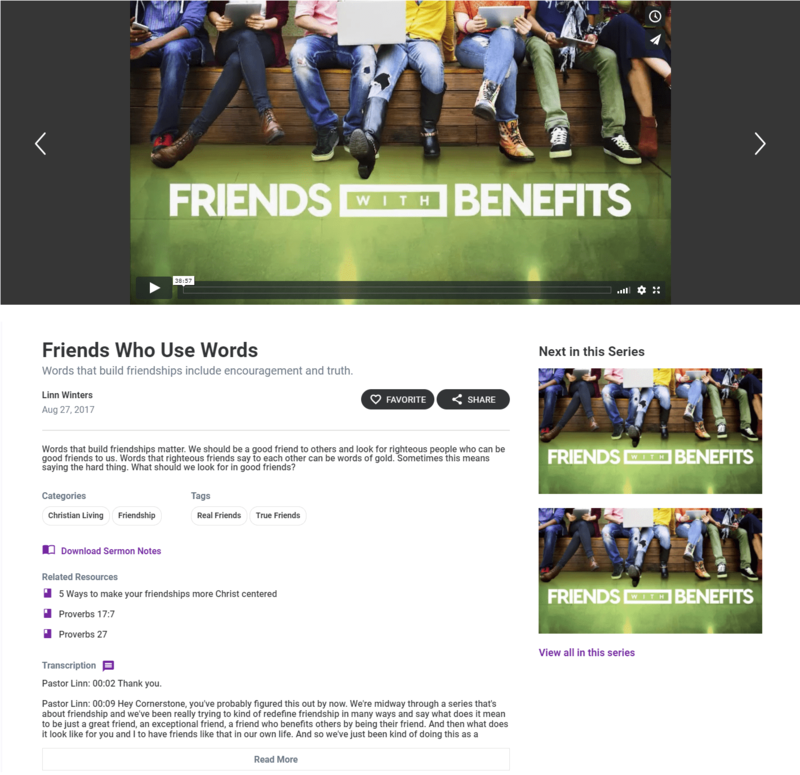 Because we produce a complete, Focus Keyword driven set of metadata for each sermon video, we are able to provide your content with absolute maximum outreach potential. Mouse-over different areas for more information on the significance of each section and the metadata contained within. The interface used to watch your sermon videos. 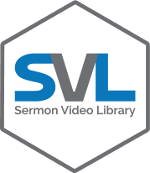 Provides quick access to the previous and next videos in a sermon series if applicable with "previous" and "next" buttons. This sidebar will contain the next/previous videos in a sermon series if available. Otherwise, it will display your most recent Featured videos. Provides easy to access to additional content for your users. The title of your sermon. Often will have little SEO value and have difficulty ranking in Google on its own. The SEO title of the video that incorporates the selected Focus Keyword for maximum ranking potential. The SEO title is also used as the browser tab title for SEO purposes. The Pastor responsible for the sermon, sermon date, and video duration are also listed here. Buttons to facilitate the sharing of your content on social media, or for a user to save the content as a favorite to find it easily later. A description of your sermon optimized through usage of the Focus Keyword. A differing meta-description of appropriate length, also including the Focus Keyword, is added to the page - though this will only be visible as the blurb describing the page in Google's search results. Categories that are assigned to your sermon. Bucketing content into broad categories helps users find what is interesting to them. Tags specific to your sermon. Keywords that best describe the precise content of the video. Clicking these will perform a keyword search for that term to find related content. Sermon notes (if applicable) for your sermon. Typically a document download. Links to resources that are relevant to your sermon content. These may be scripture based, but also could reference content on your church's website to contribute "link juice" and help those pages rank in Google. The full transcription of your sermon. While only the first few lines are displayed to users until the "Read More" button is pressed, the complete text exists in the page source, which is readable by Google. Leveraging such large pieces of textual content extracts maximum SEO value from your sermon, and potentially allows it to rank for various niche keywords in addition to the selected Focus Keyword.